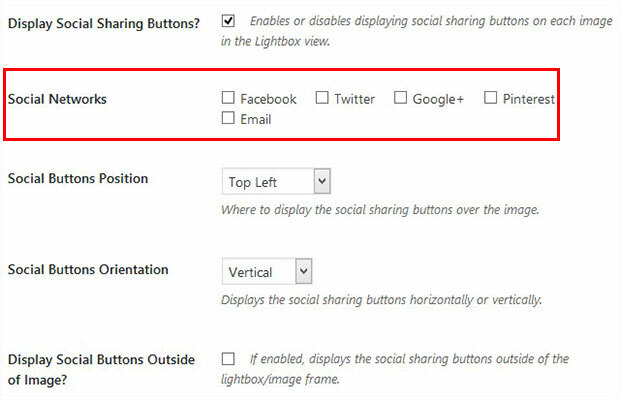 Do you want to add social sharing buttons to WordPress images? Adding social sharing buttons to WordPress images is an excellent way to get more eyes on your work. 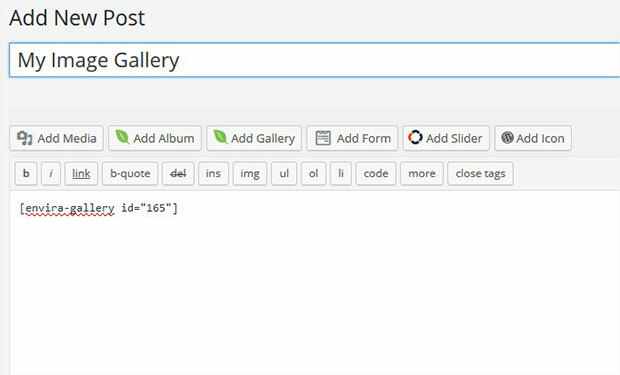 Today, we will be showing you how you can easily add social sharing buttons to WordPress images. Social sharing helps you to display your photos at large through various social networks. It’s great when someone shares your blog post on their social media pages. This means your content was worth sharing, and it’s going to get more views because of those shares. Same goes for the images in your blog post too. Adding social sharing buttons to WordPress images for your readers can create a vast difference in your daily views. By enabling the social sharing for images in WordPress, the social buttons specified by you will appear when people hover their mouse over the images in your posts. The viewers, then, can share the images they like on their social networks with those buttons. Having said that, let’s see how you can easily add social sharing buttons to WordPress images. 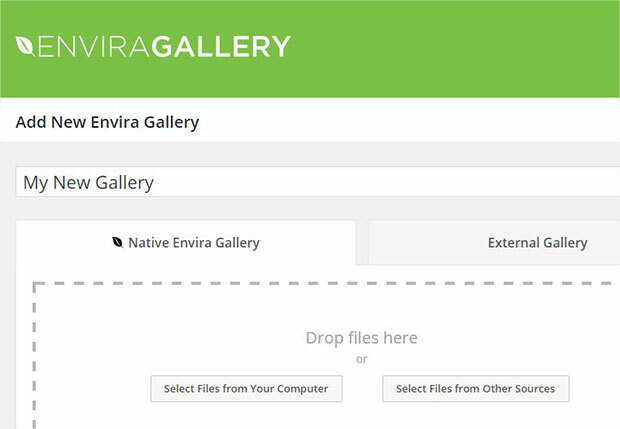 The first thing you need to do is install and activate the Envira Gallery plugin on your website. 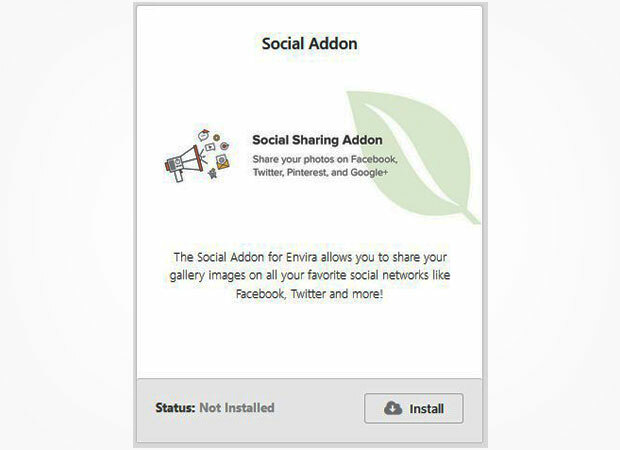 Upon activating the plugin, visit Envira Gallery > Addons to install and activate the Social Sharing addon. To access this addon, you must have Envira Pro or Ultimate license. Once the addon is activated, you can create your images gallery to add social share buttons to your WordPress photos. To create your gallery, you will need to go to Envira Gallery > Add New. Simply add a title and choose your photos for the image gallery. After you are done adding photos to the image gallery, you will see a message to configure Facebook and Twitter at the top of the WordPress backend page. You need to click on the Settings link and go to Social tab from the top of the page. Add the Facebook app URL and Twitter username in the given fields. You can click the documentation links for detailed instructions. Now edit your image gallery from Envira Gallery, you need to go to the Social tab to enable it. You can enable the social share button for thumbnails and lightbox separately. Additionally, you can scroll down to Advanced Settings to customize your sharing options for Facebook, Twitter, Pinterest, and Google+. Now that you’ve added the social share buttons to the images, simply hit the Publish button. You will now see a new widget in the sidebar with shortcode and some other information. You need to copy the shortcode from the Envira Gallery Code widget. To insert the images containing the social share button into your blog posts, you need to go to Posts > Add New or edit an existing post. Simple paste the shortcode where you want to display your image. Don’t forget to update the post after you’re done customizing. 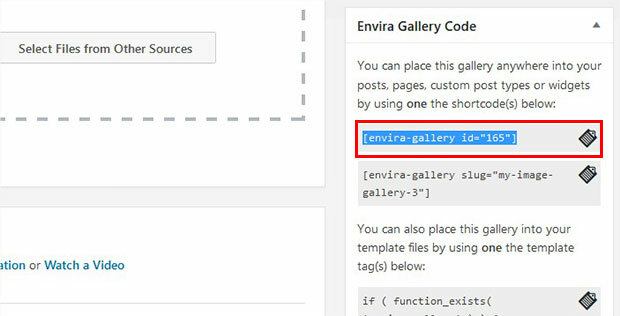 You can now visit your website to see Envira Gallery plugin in action. That’s all there is. Wasn’t that an easy task? We hope this tutorial helped you to learn how you can easily add social sharing buttons to WordPress images with Envira Gallery plugin. If you have anything to ask, add or share, please use the comments section.